Samsung is working on a considerable user interface refresh with Android Pie. 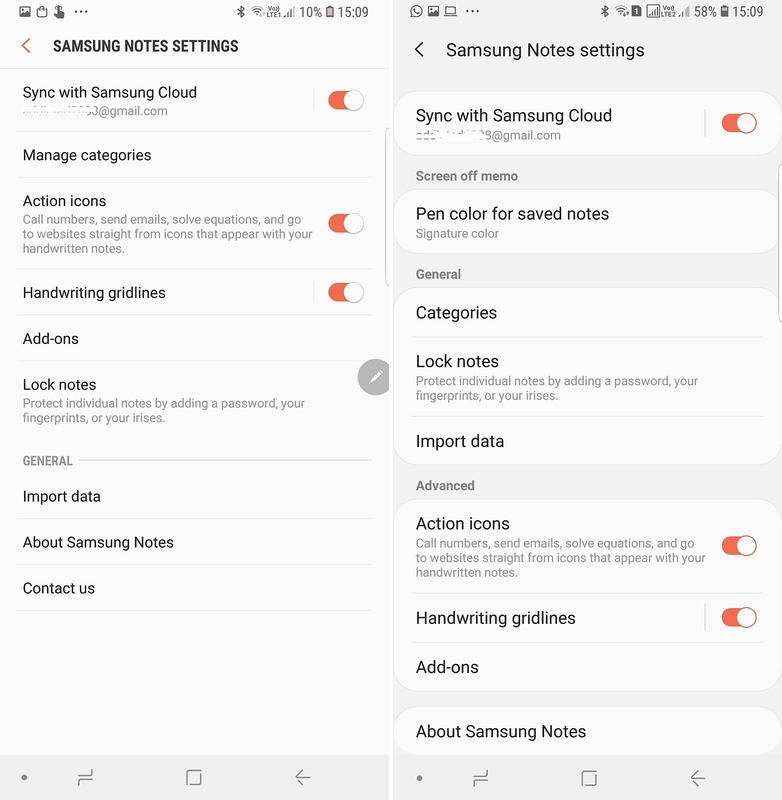 Leaked Galaxy S9 and Galaxy Note 9 Pie builds have revealed an updated card-based interface and a dark theme for Samsung’s new Experience 10 UX, and we can already try out some of those Samsung apps with the design changes Pie will introduce to Galaxy smartphones. 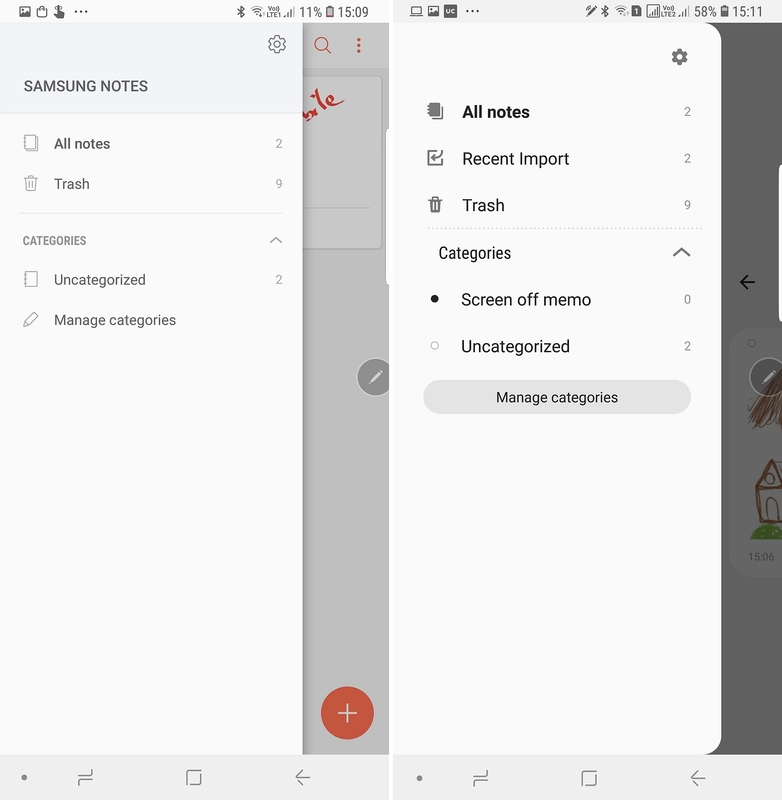 The updated versions of some proprietary Samsung apps, such as Calculator, Samsung Notes, and Voice Recorder, offer a look at the design language Pie will bring to Galaxy phones. These are early builds, though, and these apps might change drastically by the time the official Pie update comes along. 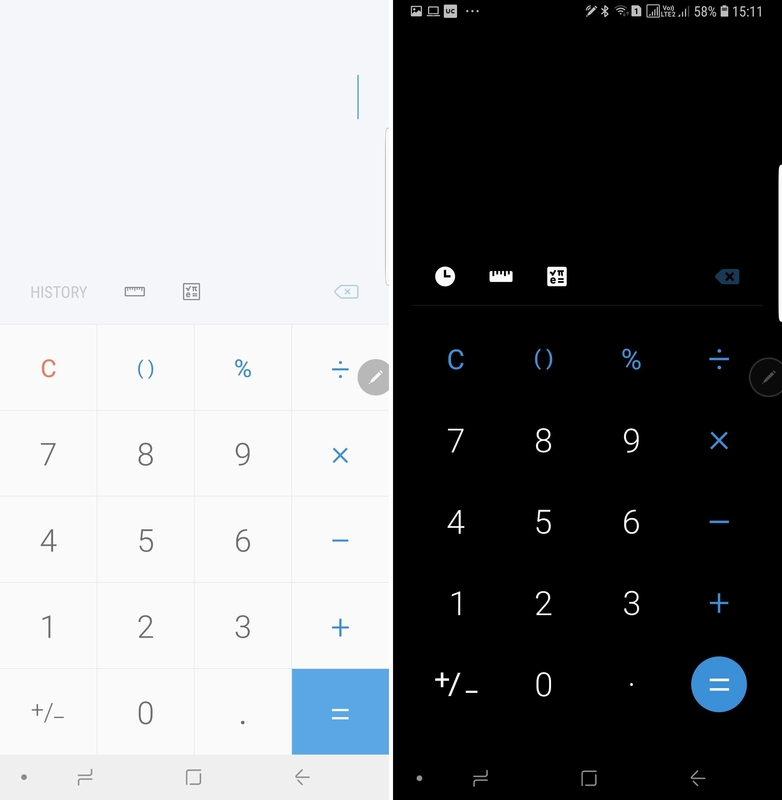 For example, the Calculator app has an all-black UI while the other apps don’t. 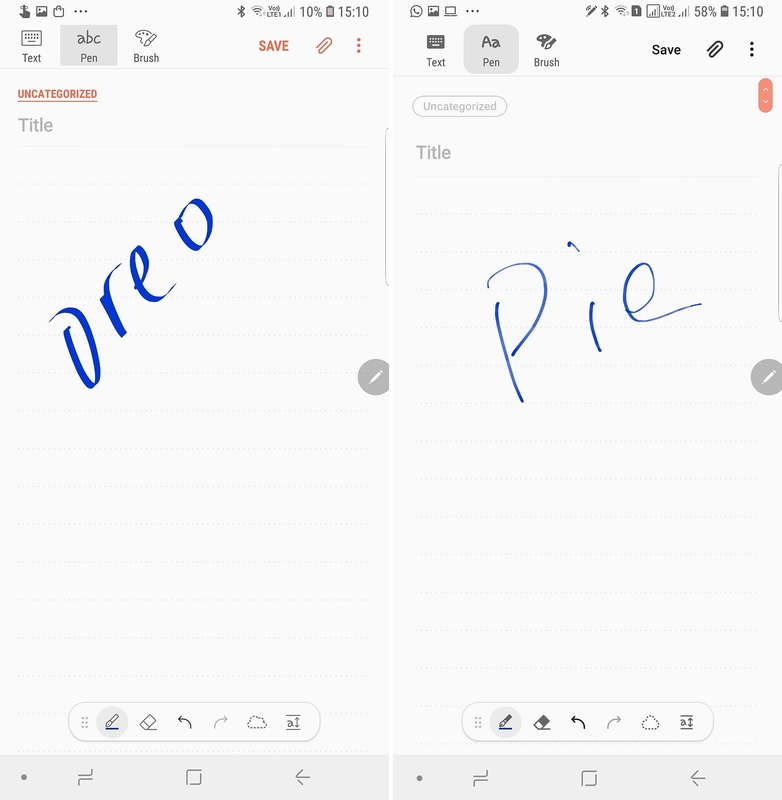 Also, you cannot rollback to the Oreo versions of apps like Samsung Notes if you install the Pie versions, so it’s best not to try them out at this point. If you do want to take the risk, we have the apps in our APK section for your downloading pleasure. 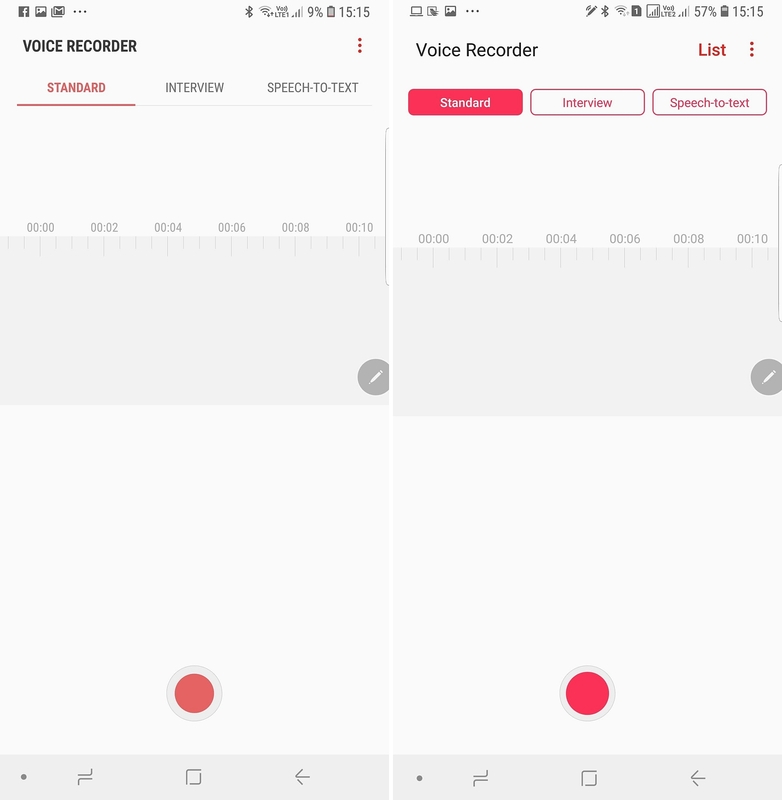 If not, you can check out our comparison pictures below to see how the apps look in their Oreo and Pie avatars (Oreo version on the left, Pie version on the right in each image). Do let us know what you think of the look Samsung is going for with Android Pie. Big blobs everywhere. Now sammy thinks we are all with low vision. Waste of screen space. I tryied and it eont install… whats it like, is it all black like on leaked images? I’m enjoying most of the changes and I can not stand looking at these navigation buttons. I want them to add up as quickly as possible to give way to gestures. So… Basically apart from calculator everything else looks worse. Fortunately I uninstalled all of Samsung’s apps that I could and the other ones I don’t use. But their theme engine better be able to get rid of those awful blobs and keep Sungstromeda support… Otherwise I’m most definitely not updating to 9.0 that’s for sure. True. All of them look very ugly now, including their new icons. The previous wireframe like icons were so cool. 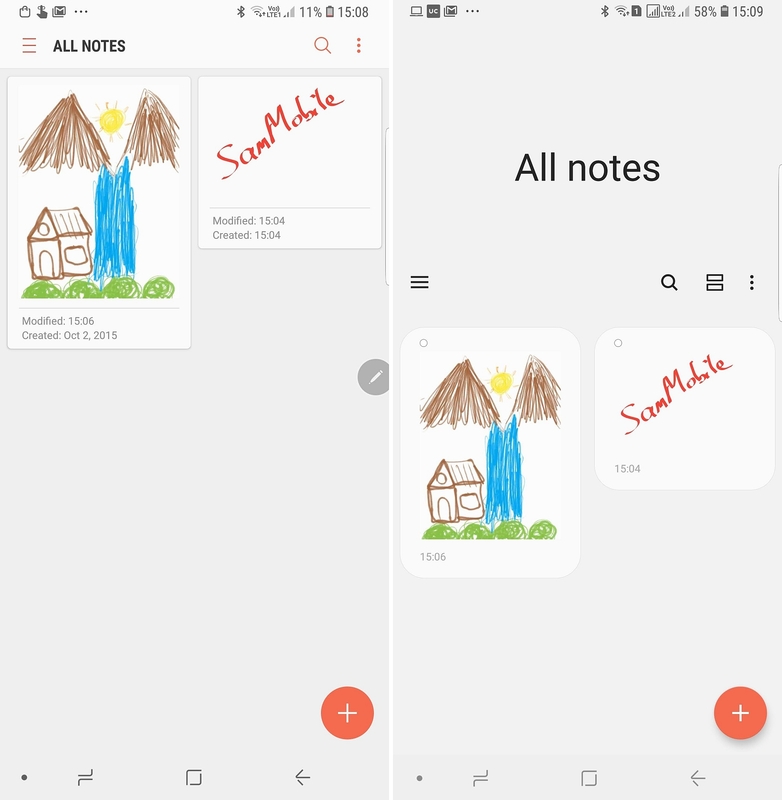 I re-installed the non-Pie version of Samsung Notes app after trying the new app and didn’t think of installing other updated apps anticipating a similar ugly UI. I wanted to try the messaging app 10.0.00.23. No luck. The app won’t install. Actually, no one has suceeded installing it. And what’s going on with that poor use of space? Just look at first 2 pictures, “All notes” takes 1/3 of the screen. If that is the reason it is just ridiculous. I don’t want all apps to permanently have one third of the display with empty space. We have one hand mode if we want to access that. Ah, that part can be removed by scrolling up, becomes like regular interface in that case. As someone else said, might be for better one handed use. 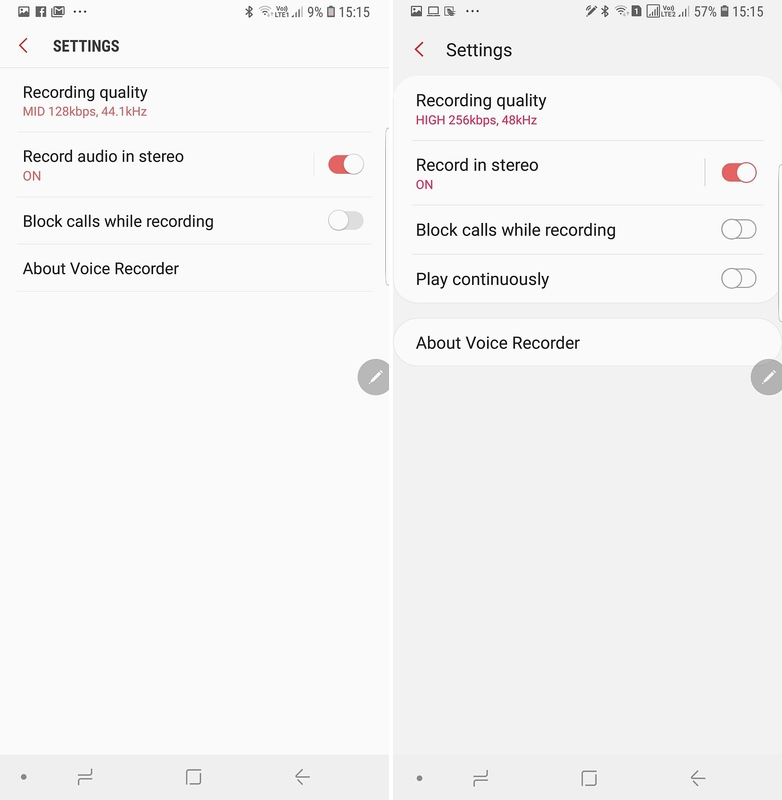 Something we saw in Pie running in the Galaxy S9 where the settings options also had lots of wasted space above but makes for easier access. Which would be easily solved by releasing normally sized phones with 5″ instead of 6″. The new icons are disgusting! Check the APK section. Yes the are! I really liked the icons from S8 and S9 and now that disgusting icons design, which looks like returning back to 2013. I know a lot of people will be annoyed with the white blobs. But the final version might look it’s best. I remember when I Beta tested Oreo, the first very version, the UI wasn’t great but got better in the end.